A space for inspired collaboration and creation. 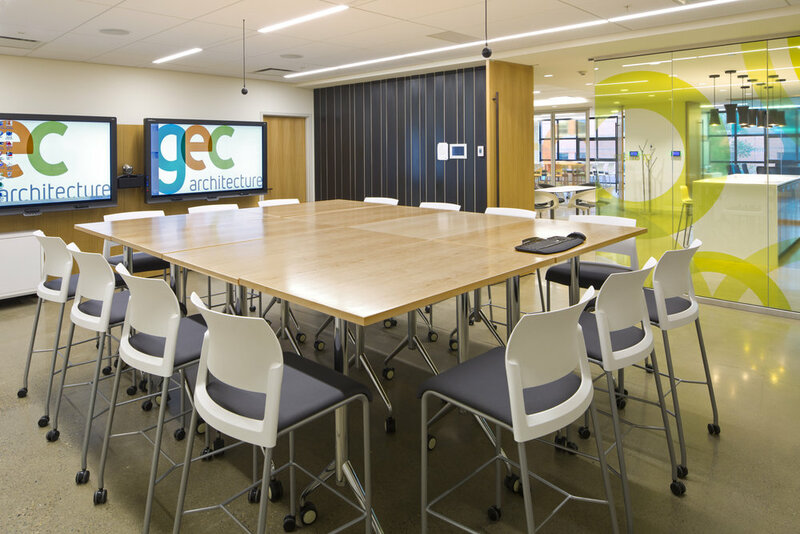 GEC’s Calgary office features an open layout where everyone - architects, partners, interior designers, graphic designers, and technologists - works in a collaborative environment sharing ideas and encouraging innovation. With full height windows the studio is a bright, vibrant space. 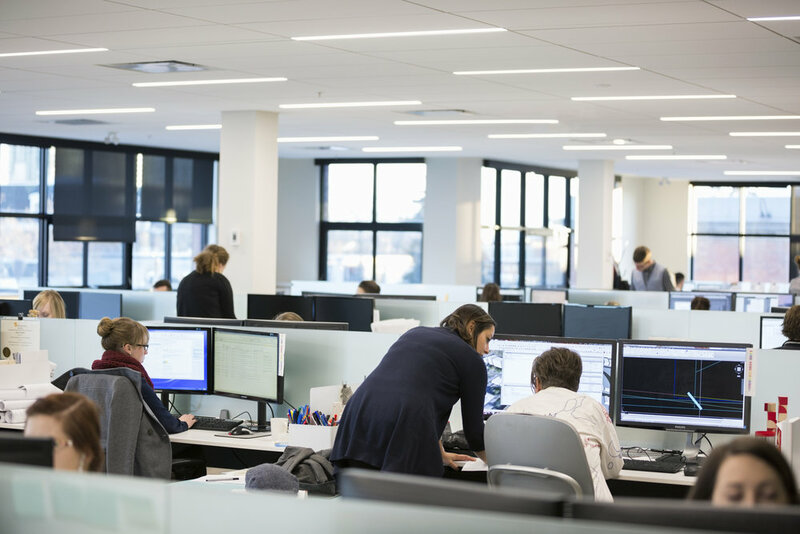 We have integrated the latest collaborative and design technologies allowing for quick and seamless communication and sharing of ideas between our team and with our clients. The office includes multiple breakout spaces, 6 meeting rooms, 2 kitchen/eating areas, a sample library, and a model building space. The lower floor contains three of the meeting rooms and are fully networked, featuring dual SMARTboard technology and audio/video conference capabilities. 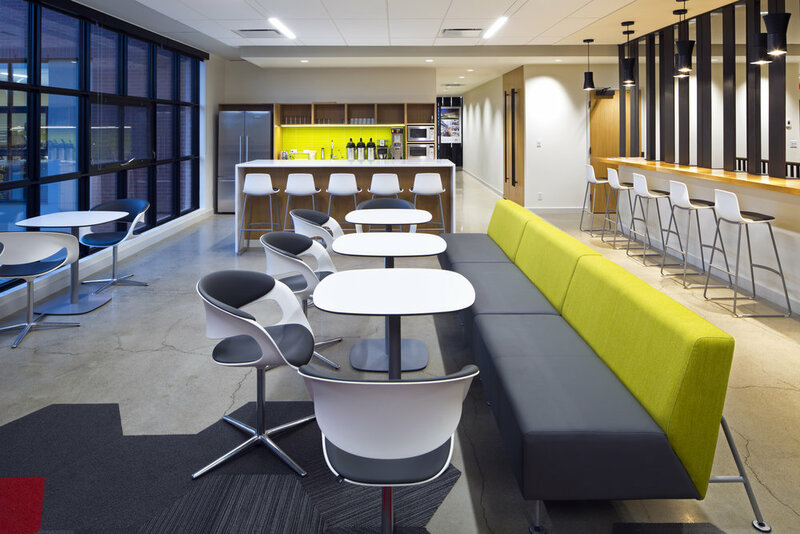 The lower floor also includes a large area for informal gathering and discussion spaces. 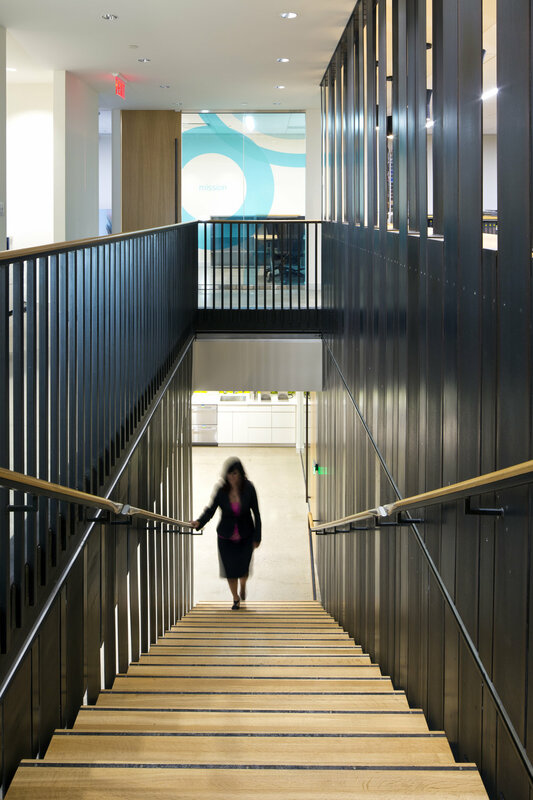 The office is designed around a central staircase. 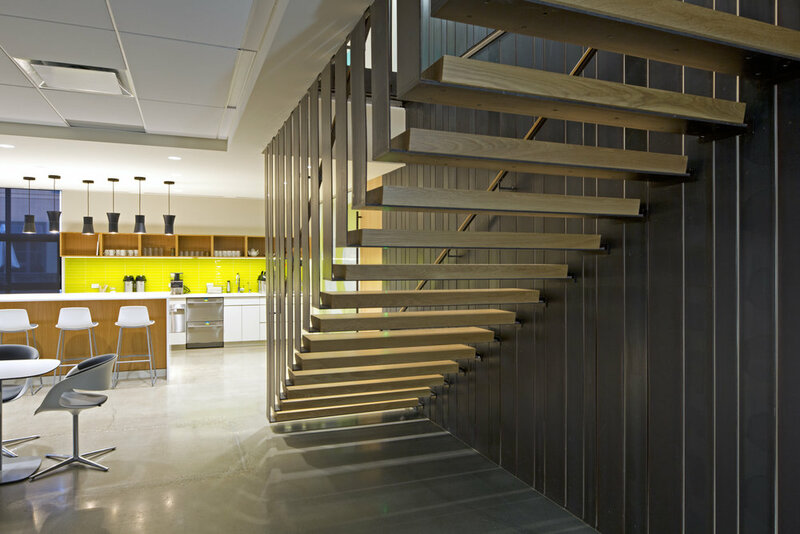 The stair is a composite oak and steel stringer hung from the floor structure, designed to be open and highly connective as well as expressing the structural ingenuity of the design. 2017.09 - Let's Tee Off!